• Smart Detect System: Automatically detects and closes different sized wires with a simple press of a button. • Built-In Safety Sensor: The safety sensor is built into the closing system for safe and trouble-free closing without risk of injury. 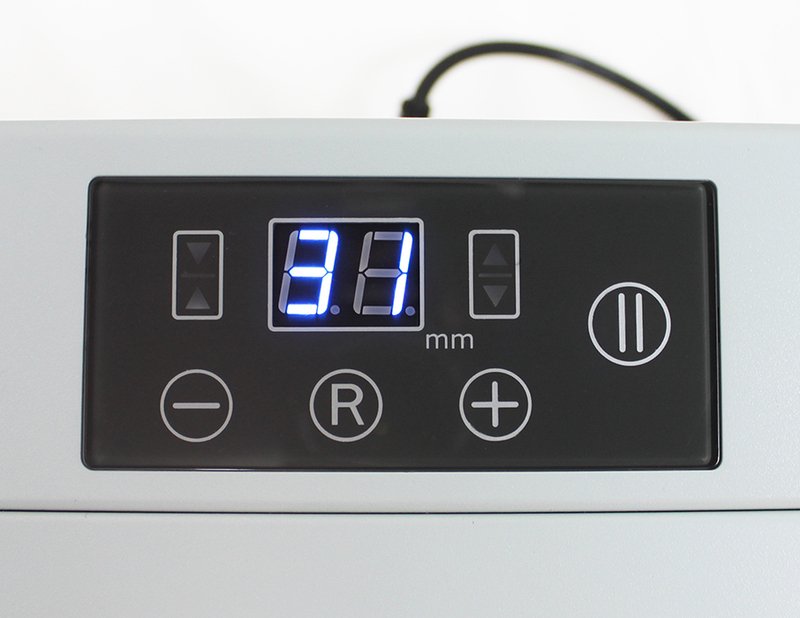 • LCD Control Panel: The LCD display and Micro-Adjust keypad guarantees a perfect closure with all wire types and brands. • 3:1 or 2:1 Pitch: Compatible with all 3:1 and 2:1 wires, up to 1-1/2″. 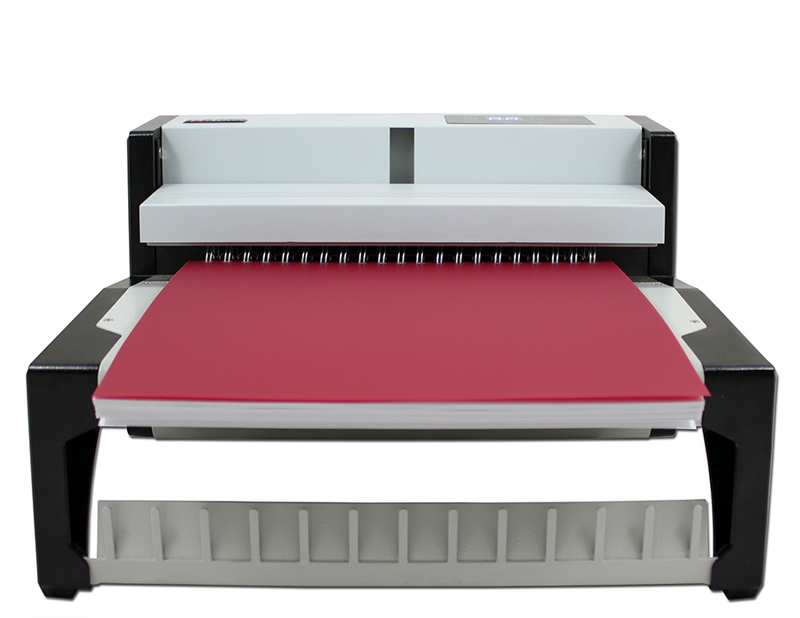 • Wide Closing Width: Closes up to 12.5″ wires. 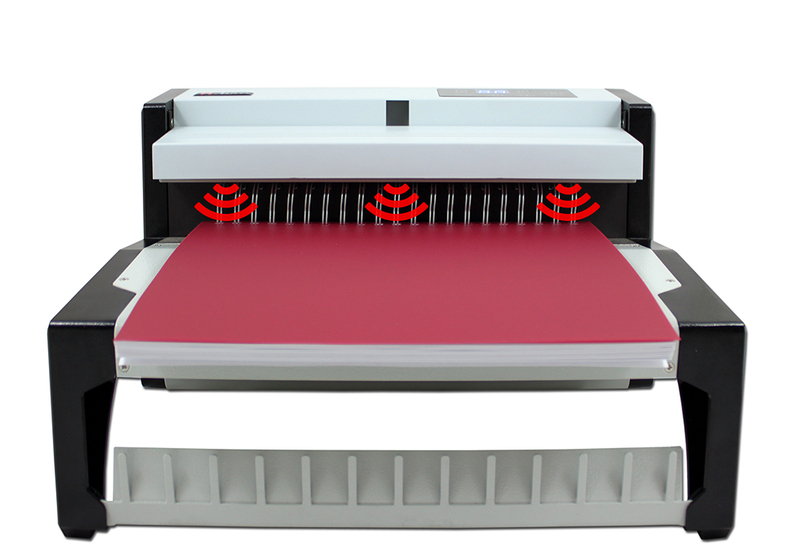 • Magnetic Back: Aligns and holds the wire securely in place during the closing process. 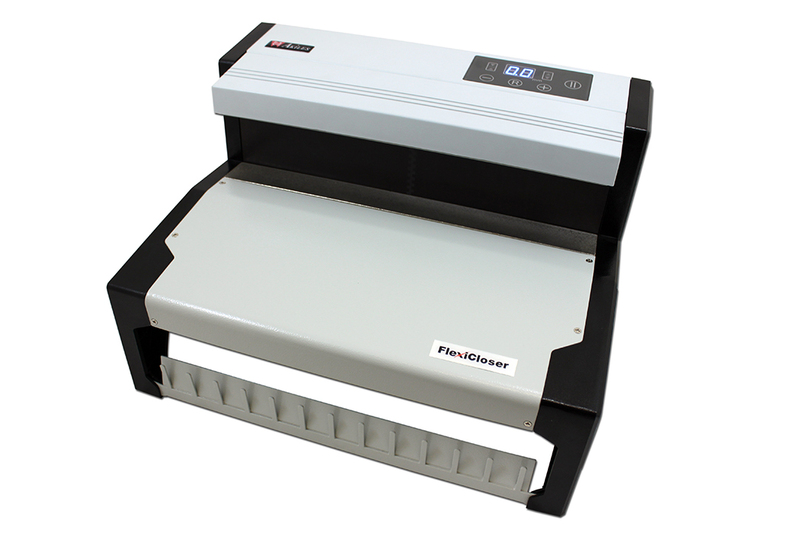 • FlexiPunch Mount: Optional mount allows the FlexiCloser to be mounted on top of our FlexiPunch Modular Punch Machine. Wire Closing Range - 3/16" to 1.5"
Copyright © 2018 Intoprint Technologies, Inc.